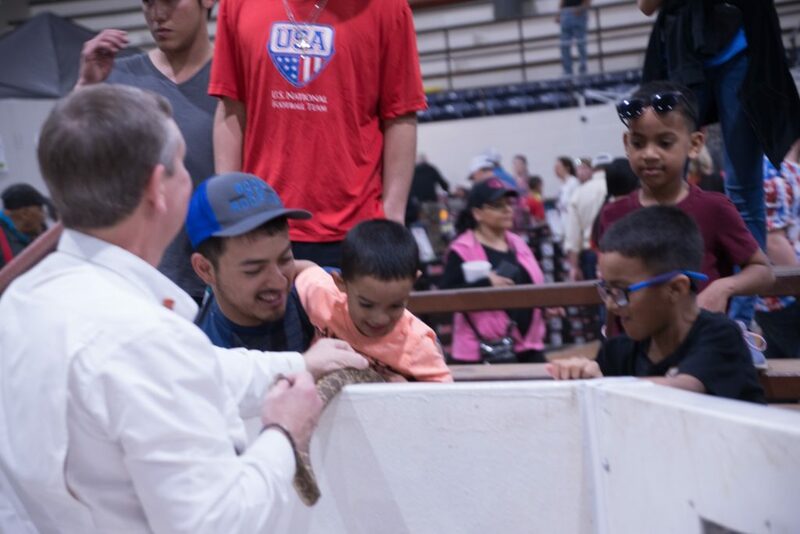 Snakes, snakes, and more snakes is the theme of The Sweetwater Rattlesnake Roundup. There were displays of rattles and heads encased in Plastics to use on your desk. There were lots and lots of headbands and even one place that had a pair of rattlesnake skin boots. 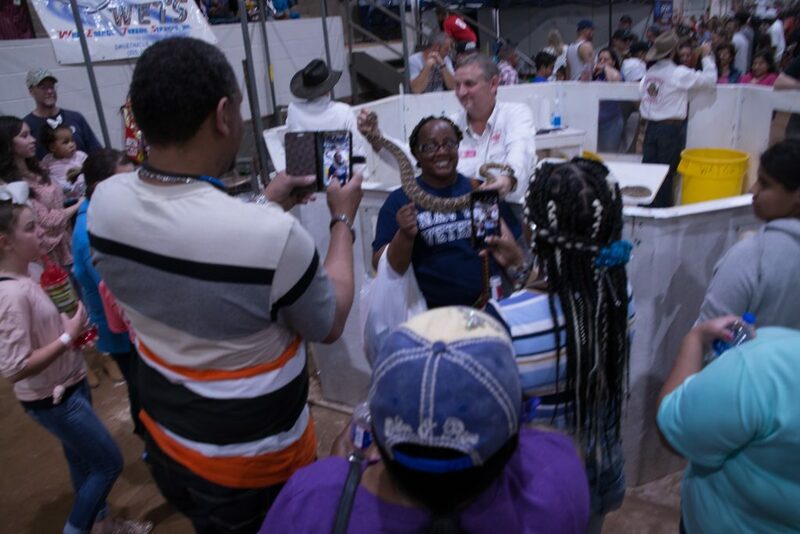 Then there were all of the people looking at the live snakes. The JayCees would even let you pet one as long as they held it and it had already been milked of its venom. There were beauties signing autographs and photographs. 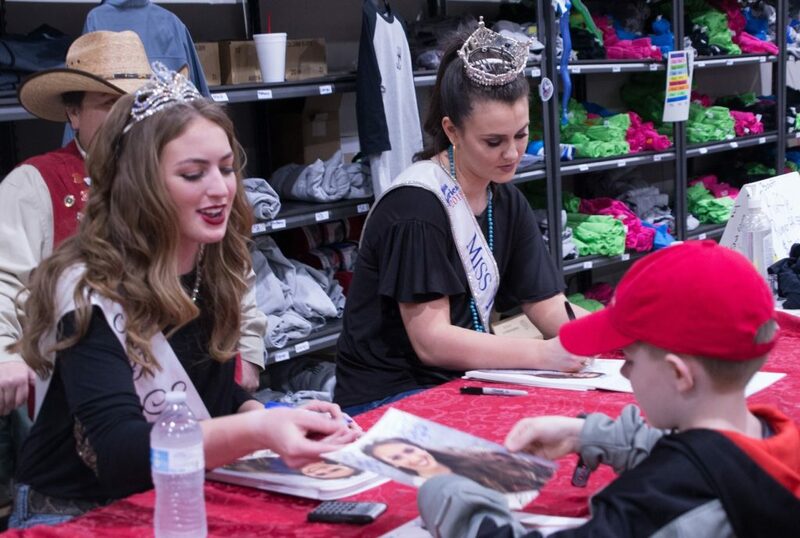 They were Miss Snakecharmer and Miss Texas. Miss Snakecharmer is a senior at Sweetwater High School and intends to attend Abilene Christian University and major in Theater/Dance. Most of the children attending took time to get a free face painting and bible story book. The weather was kind of bad for catching snakes. It had not really warmed up to get them moving and it was a cold and miserable weekend. 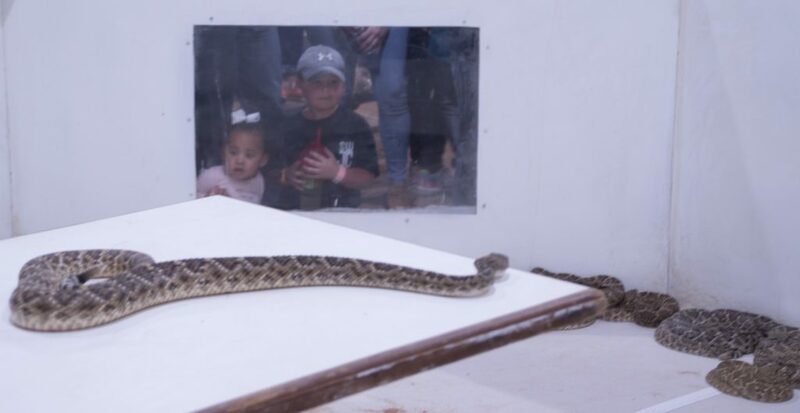 However they had several thousand pounds of rattlesnakes. A young lady that I first observed skinning snakes when she was seven is still skinning snakes and does a very professional job of it. She had volunteer helpers and semi-professional helpers to skin all the snakes and turn them and turn them into meat, skins and souvenirs. I was pretty impressed with the lady who was chopping the heads off of the rattlesnakes. They would grab the snake with a snake tool. They would put it on a mesquite wood stump and she would take one short swing and the head would fall off. I watched for over 50 snakes and she never missed taking the head off. I took the time to go next door to the gun show and there were too many guns for anybody to go looking for a gun and choose just one. However if you were looking for a specific gun, you were going to find it. The food trucks had everything you could want to eat with your hands. They also had one of my weaknesses – fresh-baked funnel cakes sprinkled with powdered sugar. 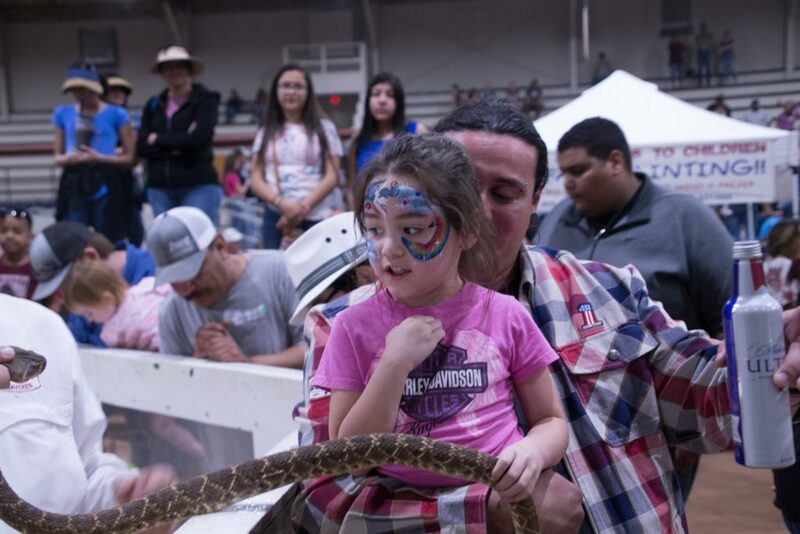 Next year on the second weekend in March go to Sweetwater and attend the rattlesnake roundup. It’s a really interesting way to spend a day.